One measure of an artist's success is how much people admire his or her work, and one measure of how much people admire work is how much they are willing to pay for it. 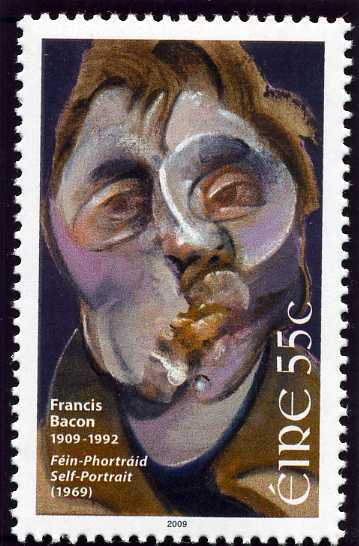 By this standard, Francis Bacon is one of the towering figures of 20th century art, with paintings that have sold for prices such as $6 million, £14.2 million, and even €55.465 million. Now that's supporting the arts! Or at least, the arts establishment. 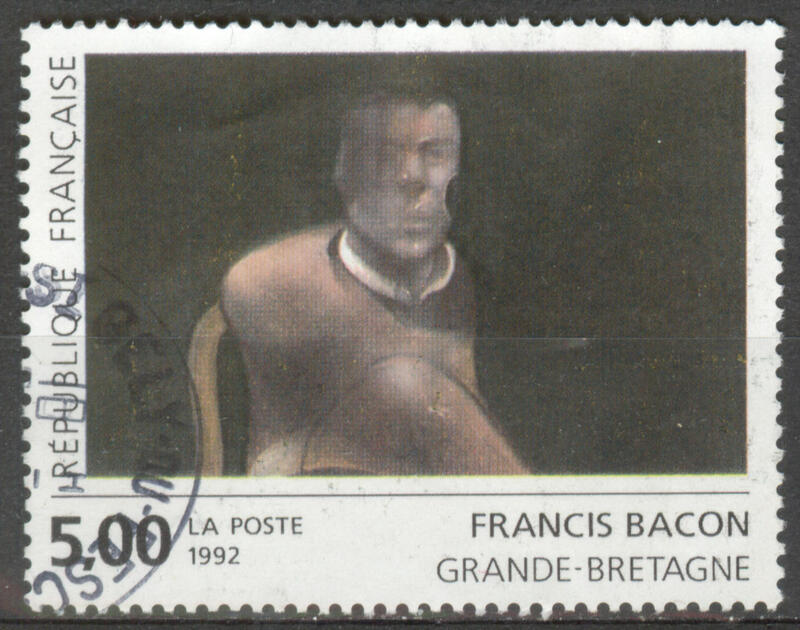 In the Infinite Art Tournament, Mr. Bacon's numbers were respectable but less awe-inspiring. The 11th artist to leave the tournament, he went 1-2, gaining 17 positive votes against 19 negative -- an " artist's power ratio" of .89, if you will. 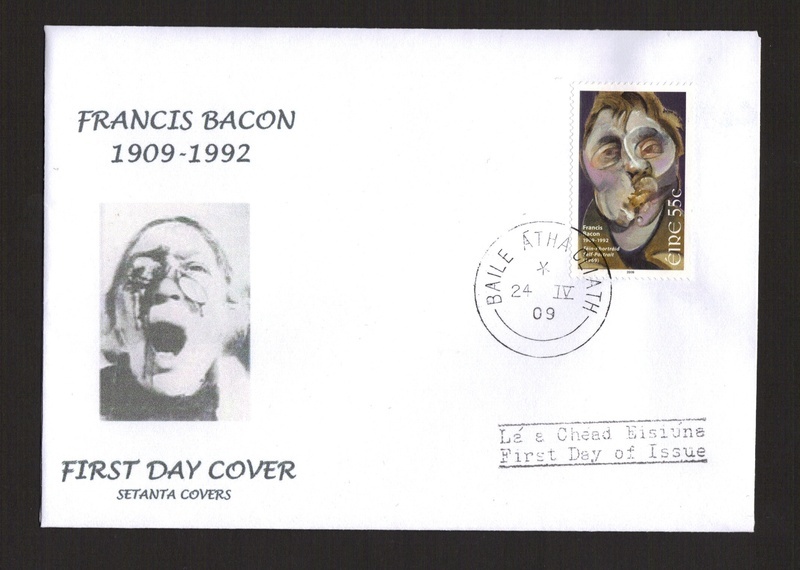 ...and the philatelic market being what it is, further abroad. 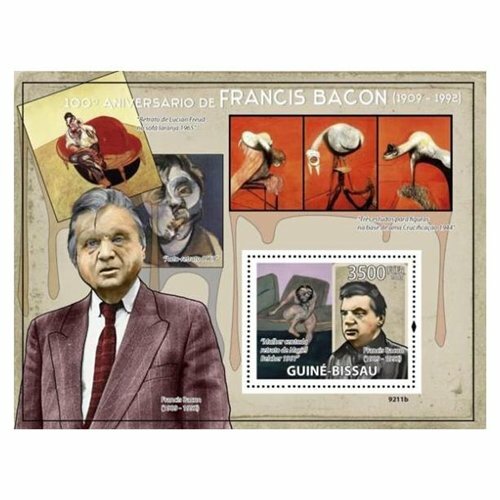 Francis Bacon may or may not be a major cultural figure in Guinea-Bissau, but you can buy a single postage stamp with a whole lot of border for only 3500 units of the local currency.